Waking up this morning knowing I had my long run ahead of me I was actually feeling a little nervous. I did not get great sleep and felt completely wiped out on top of still having this pain on my right lower side. By lunch time I somehow got my second wind and started feeling pretty decent. Normally I would do my longer runs early in the morning but I wanted to go to this beautiful nature reserve park that is a little drive from where I live so I waited for my husband and son to join me. There is a little petting farm and several playgrounds at the park so they were just going to hang out until I was finished. A change of scenery was uplifting! We headed out and parted ways…and there I was on my own. Well before I finished my first mile I realized this was going to be a big challenge for me. Typically I am used to running down a gravel route that is relatively flat. This park has hills throughout the entire running path on asphalt roads. I have never ran so slow in my entire life! I was struggling running 12-13 minute miles. My goal was to just finish the entire nine miles and I did end up finishing in just under two hours. Although I struggled and felt like this was my most challenging run to date, I will definitely be doing a couple more long runs before my race there as I feel like I pushed myself and trained my body in a way I never have before. 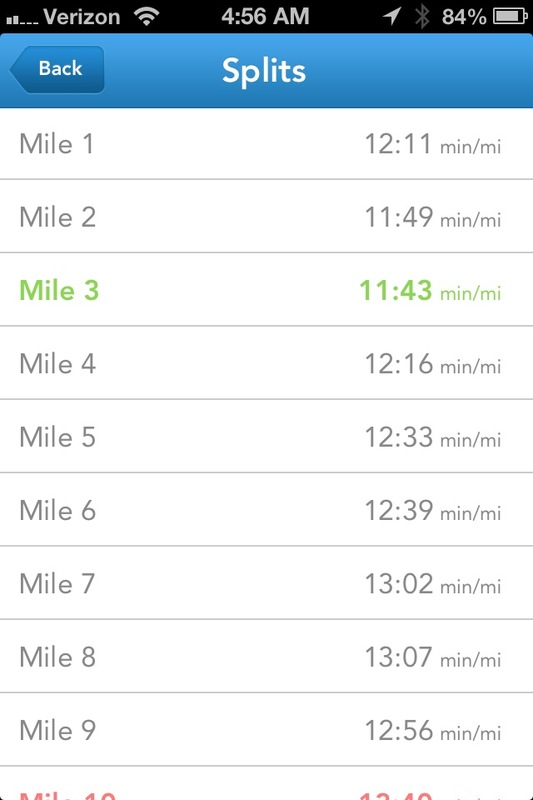 I am almost embarrassed to post my times/mile but I want to look back the next time I do my long run there and see how far I have come and hopefully keep on improving. I did not experience the cramping pains I have been getting recently and am so thankful to have finished relatively pain free. I am debating on whether I am going to take a rest day tomorrow or do a little cross training. Do you typically take a rest day after your long runs?